"Invest in Czech Republic: Your Gateway to Europe!" 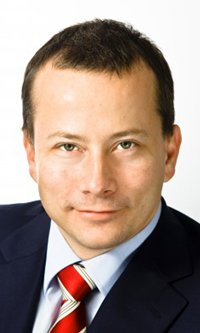 Kamil Blazek is the chairman of the Czech Association for Foreign Investment (AFI). He is also the partner with the international law firm Kinstellar. AFI is a non-profit body dealing with foreign investment. For over 20 years the lawyer has advised clients across CEE, Russia, and China on foreign direct investment, real estate, construction, energy, and M&A. He speaks Czech, English, German, and Russian. Support by the government of the Czech Republic a major investment seminar for the Central European country will take place with the participation of the Czech and Korean experts in Seoul on Feb. 25, 2015, Chairman Kamil Blazek of the Association for Foreign Investment (AFI) announced recently. The seminar titled "Invest in Czech Republic – Your Gateway to Europe!" will be held at Lotte Hotel in downtown Seoul on Feb. 25 (Wednesday), 2015. The seminar, organized by the Association for Foreign Investment of the Czech Republic and CzechInvest, the Investment and Business Development Agency, is supported by the Ministry of Foreign Affairs of the Czech Republic. Both English and Korean languages will be used in the seminar as the official languages. The following are the details on the seminar.